To replace a flat roof is a large investment for a commercial building owner, yet one that inevitably is needed. There are many considerations and factors involved in each replacement scenario. 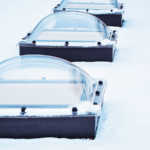 These ultimately determine the overall cost of commercial roof replacement. Let’s talk about some of these factors. 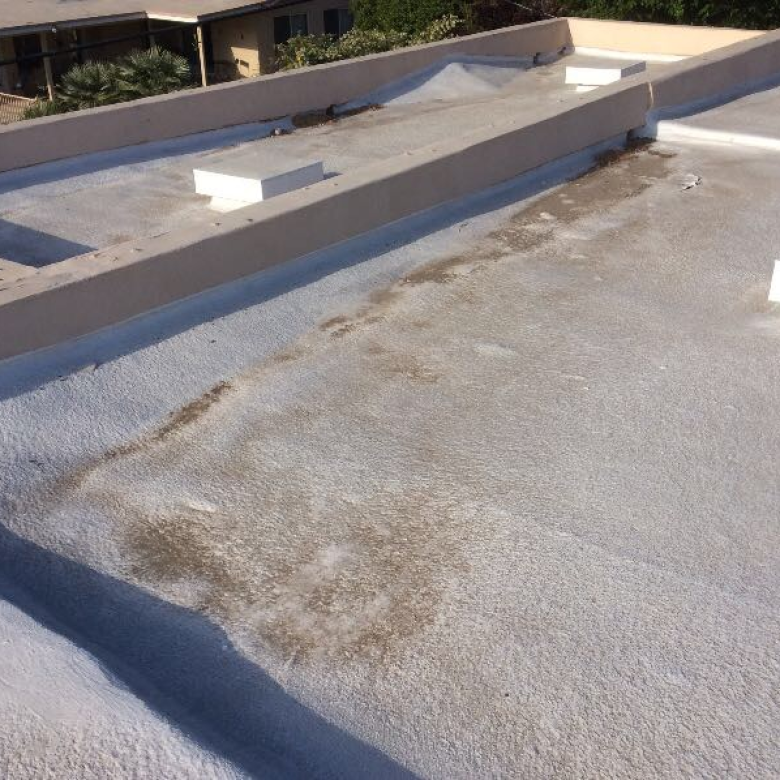 In order to shed some light on the process and cost of replacing a commercial flat roof. 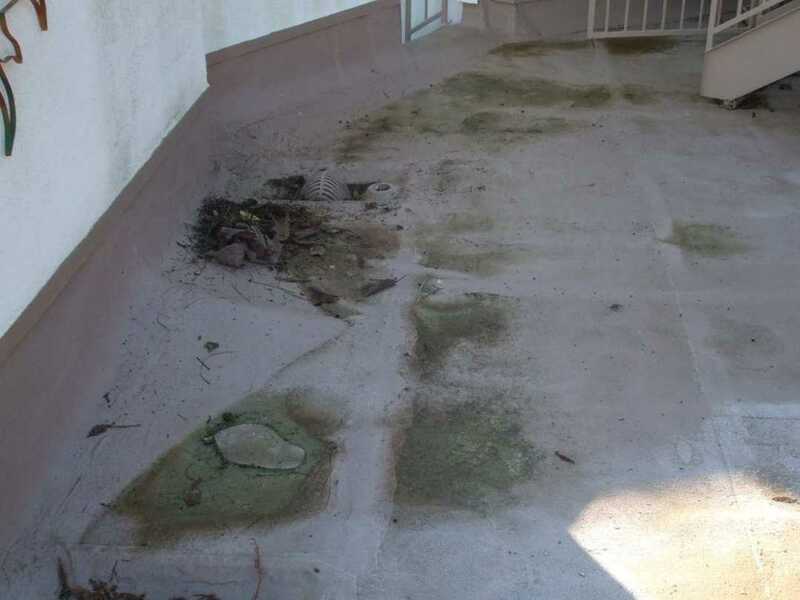 The type of flat roof that needs to be removed is a big factor in the cost. Many older buildings may have Modified Bituman (MB) or a Built-Up Roof (BUR). These are multi-layered substrates (although MB can be one layer). The removal of multi-layered substrates is more labor which therefore costs more. EPDM (rubber), PVP (vinyl), and TPO (thermoplastic polyolefin) are all single-layer flat roof membranes, which are easier to remove. 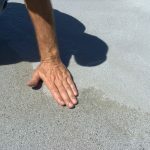 Replacing the old flat roof is generally done when it becomes damaged and starts to leak, even causing structural damage. When repairing the old flat roof is not an option anymore, replacing it completely becomes the only choice. This presents a good opportunity to upgrade the flat roof with a more modern or better fitting material. During this upgrade, there could also be some structural repairs or upgrades to make as well. These upgrades raise the overall costs. Even though it’s a flat roof, it still needs to have a slight slope to it for water runoff. Over the years there also could have been structures added to the roof. These need to be reinforced to upgrade the weight capacity of the flat roof structure underneath. MB and BUR are cheaper materials to use, yet they’re generally not recommended by flat roof contractors for commercial buildings anymore. PVP and TPO are the best flat roof membranes to use for longevity, UV reflection, and strength, but EPDM is also a popular choice and slightly less expensive. The climate, size, and structures on a flat roof are all factors to consider when choosing a flat roof material to replace the old one; these are also factors that determine the overall cost of the replacement and installation. If the building’s roof is in a difficult location to access, requires special permits, is being replaced in bad weather, or is in an expensive location ( i.e. San Francisco) – the overall cost will go up. How many structures are protruding from the flat roof? The more objects that need to be cut around and sealed, the more the overall cost will be. There may be the need to raise sections of the roof for proper drainage, and/or drainage systems that need to be installed on the sides. These upgrades are important to make, in order to avoid ponding water in the future, which is the number one problem flat roofs have. One of the main factors in the overall cost of replacing a flat roof is the size of the rooftop. The larger the square feet area means more materials and labor will be needed. The cost per square feet does go down the larger the area is, yet size is still the main factor in cost. Considering the many variables involved, these are only general ballpark figures. The last variable is determined by the contractor you hire. It’s important to hire a contractor that specializes in commercial flat roofs because sloped roofing and flat roofing are significantly different, as well as residential vs. commercial. Hiring a flat roof contractor that specializes in commercial flat roofs will ultimately bring the best results and prices. Replacing the flat roof on a commercial building is a large investment; the overall cost will vary depending on the specific factors of each project. The best course of action is to call a few flat roof contractors, that specializes in commercial buildings, in order to get cost estimates and material recommendations. The lowest estimate isn’t always the best choice, so make sure to consider the quality and reputation of each contractor. 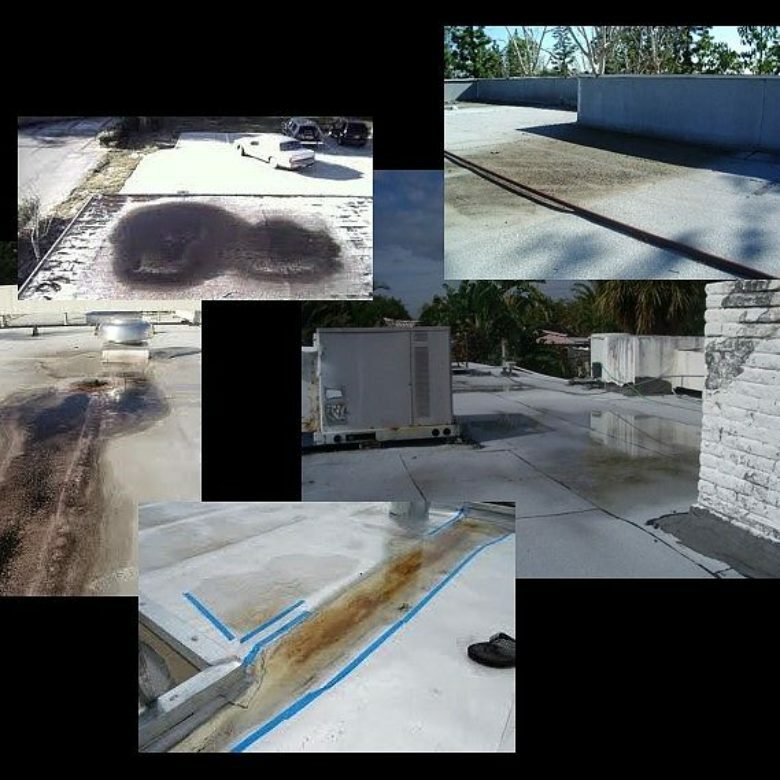 RoofSlope understands how expensive commercial flat roof replacement is, and we also understand that ponding water and improper drainage are the main culprits in their demise. That’s why our innovative auxiliary sloping product is so helpful for contractors and building owners, as a cost-effective and efficient solution for ponding water. Please contact us today to learn more about RoofSlope.